Yes! I've gotta say I've been looking forward to this for awhile now. I really love these guys! 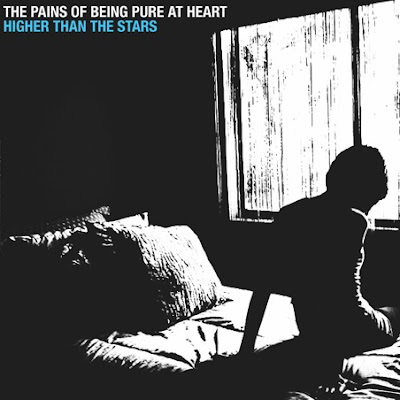 The Pains of Being Pure at Heart, who Ray wrote about all the way back late last January, are releasing a new 5 (well, 4.5 I guess since one is a remix) song EP titled Higher Than Stars on September 22nd. Higher Than Stars is also the name of the single, which stays in true form to their cloudy shoegaze style, and has inspired several great remixes. This release is perfectly timed for setting the mood for October's cool and gray Autumn days. That is if you are fortunate enough to live somewhere that has cool and gray Autumn days. The rest of us can use it to imagine ourselves there. ok, i wanna say the bass sounds like Peter Hook, but some will argue it sounds more like Simon Gallup (The Cure)... love, love, love!! I want to say that "Higher Than the Stars" sounds REMARKABLY like the Smashing Pumpkins' "1979". Especially the bridge.